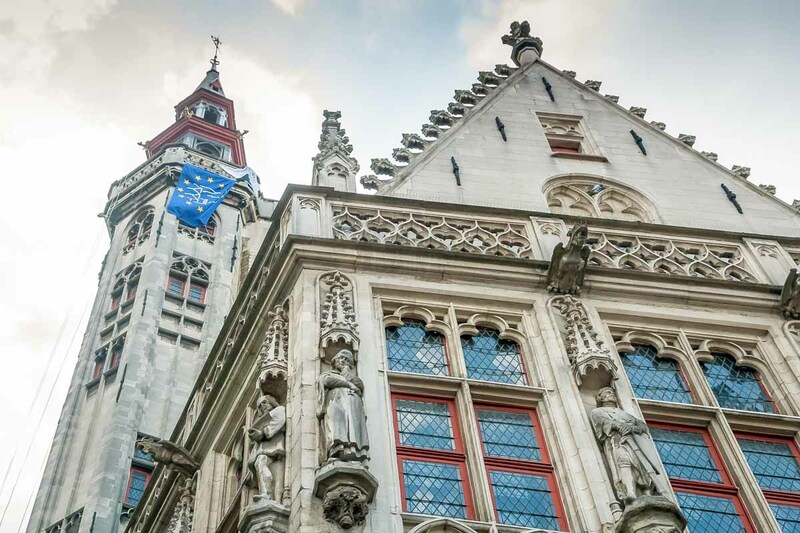 The Poortersloge is the most remarkable building on the Jan van Eycksquare. 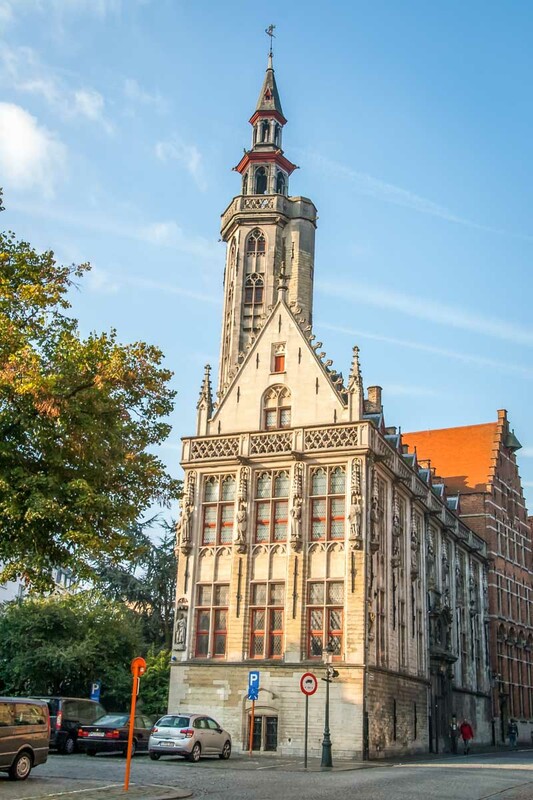 It has a slender tower and its facade is adorned with several statues, under which "het beertje van de loge" (the bear of the loggia). The Burghers' Lodge was the place where the "important" citizens (poorters) had their meetings and where they received their trading partners. It was also the seat of the Society of the White Bear. 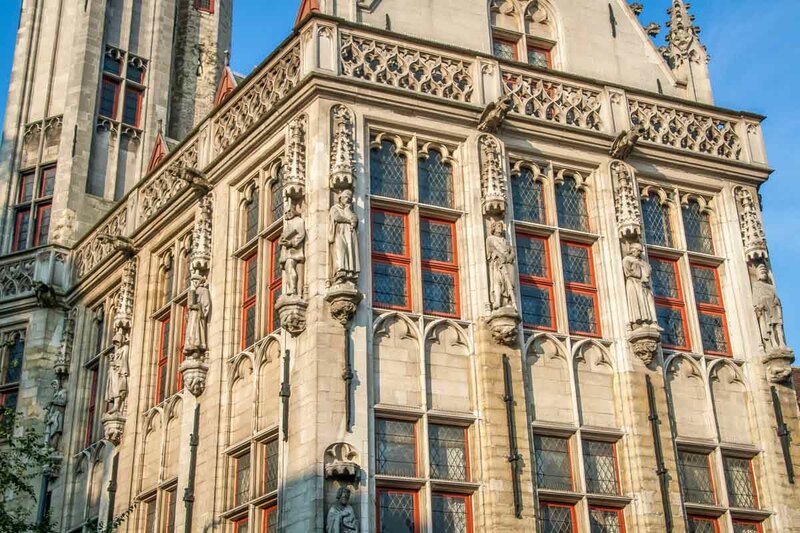 The statue of the Bear of the Loggia reminds of that society (see the facade at the corner of the Academiestraat). A fire ravaged the building in 1755 after which it was restored, a cartouche in the facade reminds of that incident. It was restored at the end of the 18th century, giving the Poortersloge back its original medieval appearance. From 1720 it served as academy for Fine Arts, from 1912 till 2012 it was used for the National Archives. 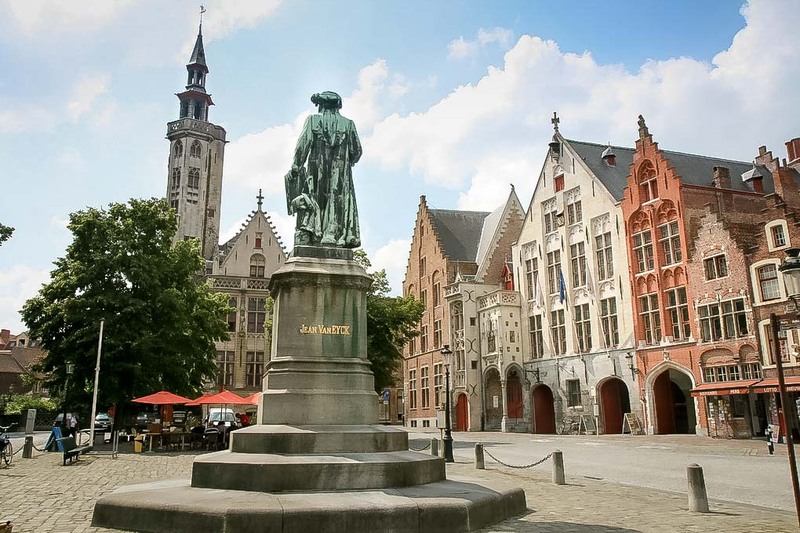 From the Jan van Eycksquare you have a great view over the Poortersloge (Burgher's Lodge) and in front of it is the Jan van Eyck square with the statue of the greatest flemish painter of all times who lived and died in Brugge. 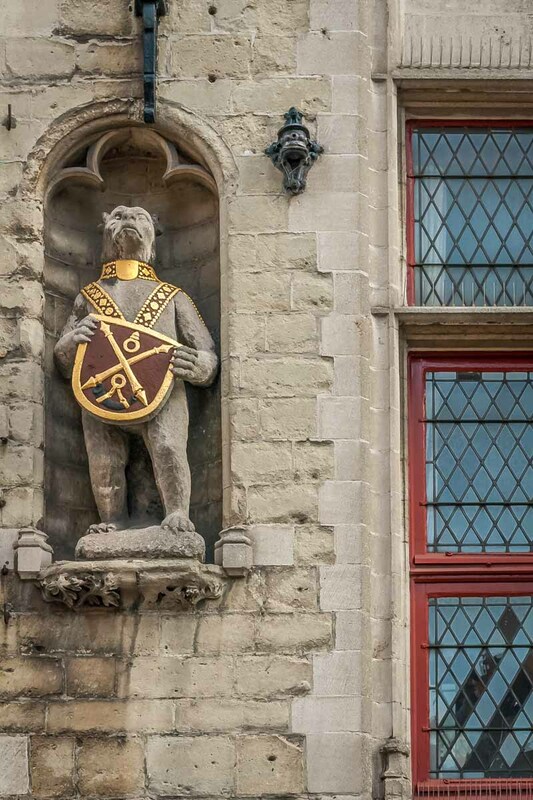 Legend tells us that a bear was the oldest citizen of Bruges. It started when in 862; Baldwin I, Count of Flanders kidnapped Judith, the daughter of the French king Charles the Bold. Baldwin married Judith, but was not accepted by her father as his new son-in-law. 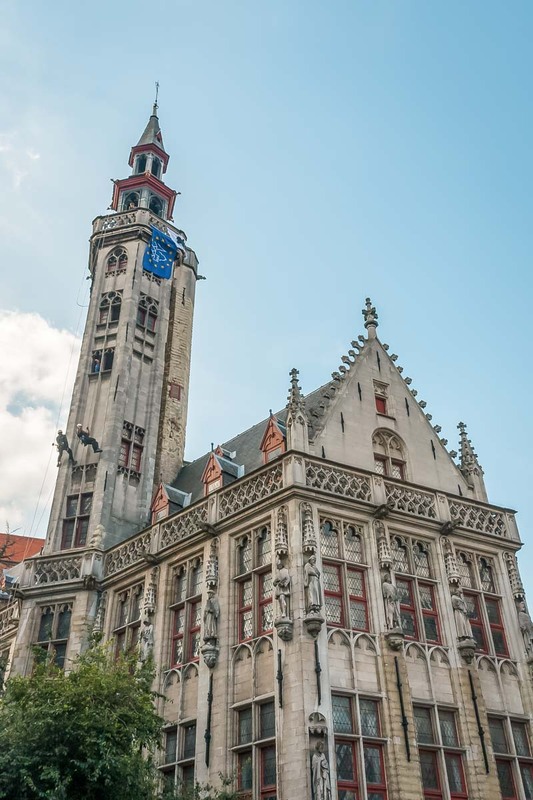 To punish Baldwin, the king sent him off to one of his northern territories, the area now known as Flanders. 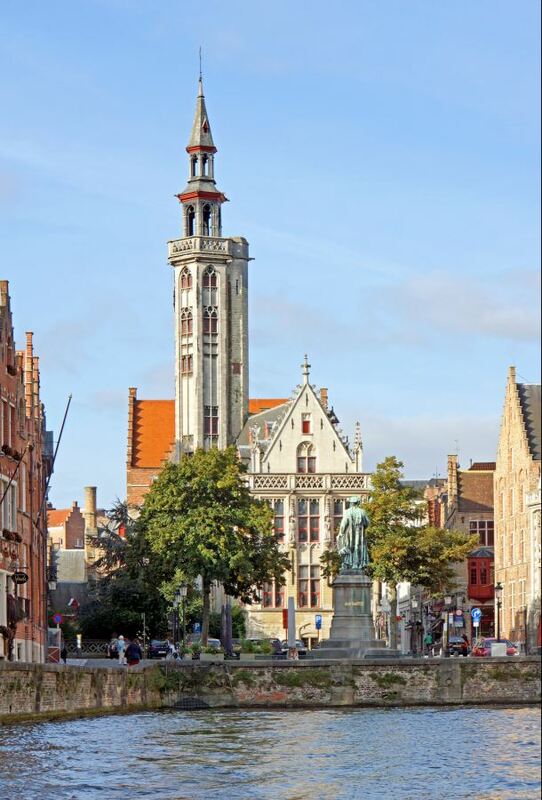 Legend has it that the bear is the oldest inhabitant of Bruges. Jan Van Eyck - the square is named after him - was a renomated painter. He was born somewhere in the beginning of the 1390ties, but the exact date is not known. He was a court painter at the court of Philip the Good of Burgundy and was entrusted by the Duke with various diplomatic missions. Admire "The Virgin and Child with Canon Van der Paele" by Jan van Eyck in the Groeninge museum.